The six biggest U.S. drugmakers avoided paying $7.05 billion in U.S. taxes last year by shifting their profits overseas. That’s almost double the amount they saved using the same strategy 10 years earlier, according to data compiled by Bloomberg. For years, multinationals such as Pfizer Inc., Merck & Co. and Johnson & Johnson have been moving ownership of patents and trademarks to subsidiaries in low- or no-tax countries. This has allowed drug companies, as well as businesses in several other industries, to skirt paying U.S. taxes on sales of those products unless the money is returned home. While the practice of shifting assets and profits overseas is legal, that could change. As the trend continues to grow in an era when the government is desperate to raise revenue, the strategy has drawn the ire of legislators eager to shut it down. 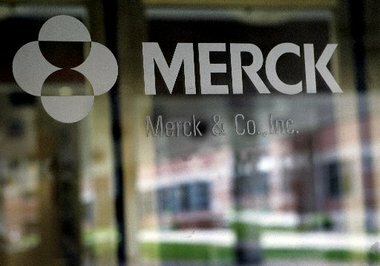 Merck and J&J were the biggest drug company winners in 2012 with savings of about $2 billion each attributable to the strategy, according to regulatory filings. The reports by the six drugmakers, filed last month, come as U.S. lawmakers are debating potential tax code changes designed to shrink the federal budget deficit and crank up job-producing business activity in the U.S.
Eighty-three companies have stockpiled $1.43 trillion in untaxed profits in foreign countries, according to data compiled by Bloomberg. The leader is General Electric Co., which said in a Feb. 26 filing it has $108 billion sitting overseas. Among drugmakers, Pfizer reported having $73 billion abroad, Abbott Laboratories $40 billion and Bristol-Myers Squibb Co. and Eli Lilly Co. $21 billion each. Merck’s shares dropped less than 1 percent to $42.95 at 9:37 a.m. New York time. Pfizer fell less than 1 percent to $28.17. J&J declined less than 1 percent to $78.05. Republicans such as Grassley and Michigan’s Dave Camp, the chairman of the House Ways and Means Committee, want to encourage companies to repatriate their stockpiles in the hope that bringing the money home will lead to investment and job creation. A proposal by Camp would exempt earnings from U.S. taxes and limit the ability of companies to shift their profits into low- or no-tax countries. Jacob Lew, sworn in Feb. 28 as President Barack Obama’s treasury secretary, told Republicans on the Senate Finance Committee that he saw “common ground” that could be considered on the issue. The federal corporate income tax in the U.S. is 35 percent. Last year, the six biggest drugmakers cut their effective rate by more than half, a record for the decade, according to a review of 10 years of filings by Bloomberg News. The filings also show that tax avoidance strategies make up a significant portion of the profits that investors use to assess drugmakers’ profitability. Spokespeople for the six drugmakers declined to comment or make any of their tax staff available for an interview. In 2012, for instance, 20 percent of the adjusted earnings per share reported by New York-based Bristol-Myers came from cutting its tax rate, not profits on its drugs. At Abbott, based in Abbott Park, Illinois, and Indianapolis-based Lilly, it was 19 and 16 percent, respectively. The tax avoidance strategy has grown. In 2003, the six pharmaceutical companies saved $3.85 billion, according to data compiled by Bloomberg from 10 years of regulatory filings. In 2012, that number had grown to $7.05 billion. At the same time, the companies often keep losses from failed drugs and other costs based in the U.S., as a way to further cut their federal tax burden. Bristol-Myers reported all of its profits occurring overseas, a move that helped cut their U.S. rate by 29 percentage points, according to corporate filings. The New York- based company’s annual report shows a $271 million U.S. loss, with $2.61 billion in earnings abroad. At the same time, the report said 59 percent of its sales were in the U.S. The company explained its tax strategy on an earnings call in January, saying it had “restructured some legal entities” to help lower its tax rate and compensate for the loss of a major product, the drug Plavix, which had gone off patent. That restructuring involved shifting where the company earned its profits by selling assets to overseas subsidiaries. Companies shift high-value assets to overseas subsidiaries in low-tax countries where the profits are booked using a process known as “transfer pricing.” While drugmakers aren’t alone in their use of the provision, “they are the poster children for aggressive transfer pricing,” said Martin Sullivan, a former Treasury Department economist and a contributing editor at Tax Analysts. The median tax benefit of all six companies from locating profits overseas in 2012 was $1.12 billion. After Merck, the biggest benefits went to J&J, at $1.89 billion, and Abbott, at $1.56 billion. Pfizer, the world’s biggest drugmaker, recorded $16.8 billion in pretax foreign profits and a $4.73 billion pretax U.S. loss, and a tax savings of $362 million, the smallest for the six companies. The other drugmakers reviewed were J&J, which is based in New Brunswick, New Jersey, Abbott Laboratories of Abbott Park, Illinois, and Indianapolis-based Eli Lilly & Co. The details of how companies shift the profits are under regular scrutiny by the IRS, which has filed suit when companies go too far. GlaxoSmithKline Plc, for example, paid the IRS $3.4 billion in a 2012 transfer pricing settlement. There are also downsides to the tax strategy. While those profits look good on balance sheets, they’re of less use to the companies to pay dividends or acquire businesses. That means money that could be going to the U.S. government to reduce the debt or pay for taxpayer services is instead sitting offshore. And profits that could be returned to investors or used for investment in the U.S., does the same. While it can be difficult to bring that money back untaxed, it’s not impossible, as a Senate committee detailed in a September hearing on computer maker Hewlett-Packard Co.’s tax maneuvers. The system is “broken and outdated,” wrote Michelle Dimarob, a spokesman for Camp, the Republican who chairs the House Ways and Means Committee, in an e-mail. “It is well past time to undertake a comprehensive rewrite of the tax code that bolsters the competitiveness of the U.S. in the global marketplace,” Camp’s spokeswoman, said in an e-mail.